These are interesting places people like to visit in Florida other than the beautiful beaches and popular theme parks. 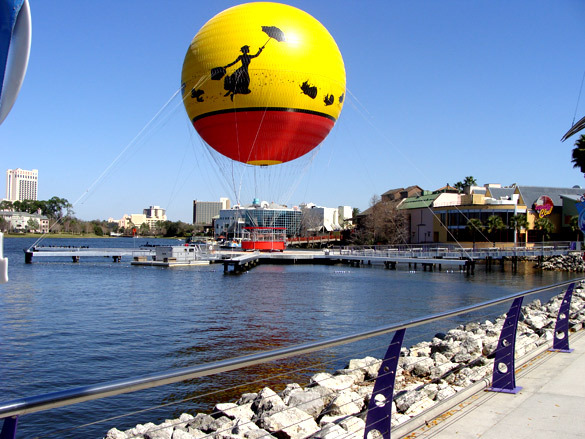 This is somewhat of a Point of Interest as the balloon is most always seen hovering over the water in Downtown Disney. If you stay at a hotel anywhere near this area, you can see the balloon over the water. On the balloon you see black silhouette figures of Mary Poppins. You can actually ride the balloon for a fee. The photo of the prices are from 2010. Adults are priced at $16 and Children at $10. The balloon is not a standard hot air balloon. 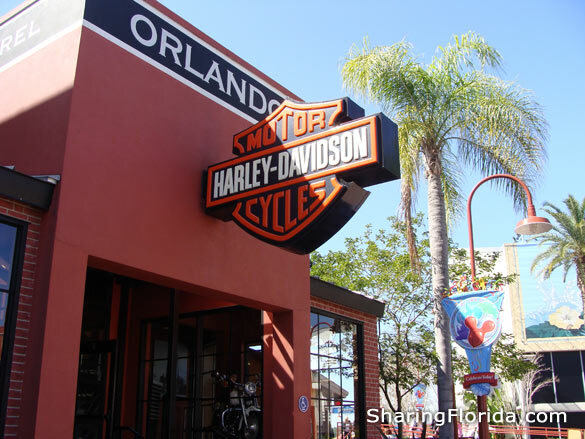 This is one of the many attractions in Naples, Florida. 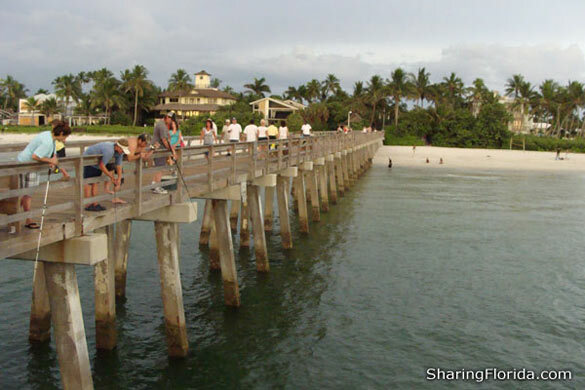 This is the Naples Pier, located on 12th Avenue South off Gulf Shore Blvd in Naples, Florida. Formerly a boat dock in the 1888. Now serves as a fishing dock and a GREAT place to see a sunset in Naples. This dock is over 1,000 feet long. Paid parking is within walking distance to the pier. 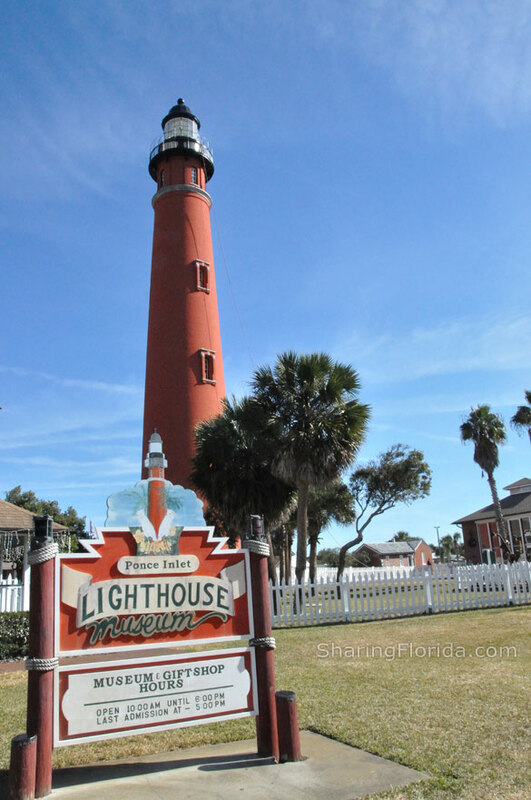 The Ponce Inlet Lighthouse is located in the Daytona Beach area of Florida in a town called Ponce de Leon. The cost to enter the lighthouse is $5 per adult. There are also several small museums you can only visit with the admission price. You can visit the gift shop and view the lighthouse for free, and there is also a nearby playground and restaurant. 203 Steps to the top! The Vegas-styled casino includes: Roulette, Blackjack, Craps and other popular games. Their site says 98.8% Payback machines. The cruise permits gambling once the ship is at least three miles offshore because of regulations. This is the famous road leading to the center of Ft. Lauderdale Beach in Florida. About one mile from the end of Las Olas (beach end) are the famous Las Olas Shops. These shops are set up like an outside mall and contains a wide assortment of shops like Gourmet Farmers Market, Indigo Palms by Tommy Bahama, Blue Island Stores, and more. Photos here are of the end of Las Olas Blvd. where it leads to the Ft. Lauderdale Beach.